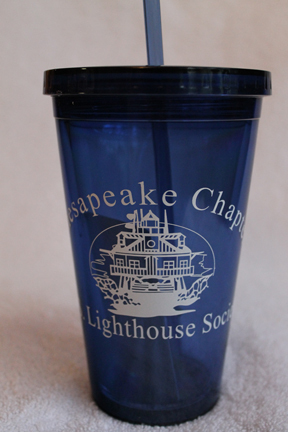 Chapter 16oz Tumbler – Chesapeake Chapter U.S.L.H.S. This reusable tumbler looks just like a to-go cup, complete with a matching lid and straw. Solid dual-wall acrylic layers offer extra insulation and help prevent condensation from your ice cold refreshments. Gasketed, screw-on lid provides a tight, spill-resistant fit. A ring around the end of the straw keeps it from falling out. 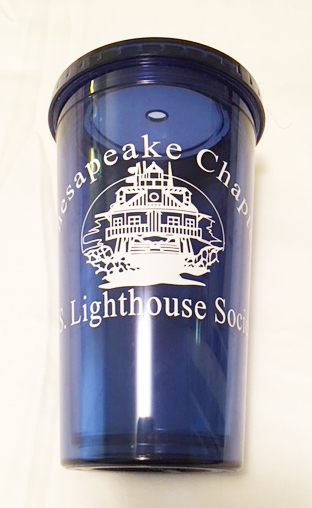 This BPA-free tumbler is made from #7 plastic and feature the official Chapter logo. 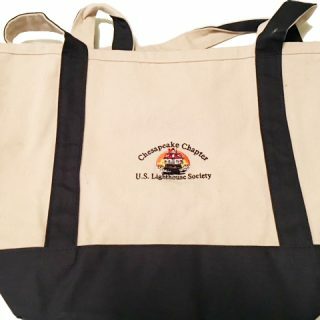 Size: holds 16+ oz.